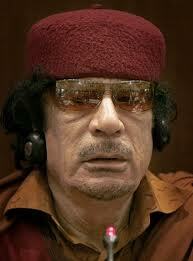 Muammar Gaddafi's Regime Comes To An End? Article first published as Muammar Gaddafi's Regime Comes To An End? on Technorati. Recent developments in Libya show that the 42-year regime of Col. Muammar Gaddafi may soon come to a tragic end in a matter of weeks or few months from now. This is because the rebels have taken over Tripoli the national capital without much resistance from the troops loyal to the incumbent president. Iranian Press TV reported that the military unit in charge of protecting Gaddafi has defected to the opposition after the latter took over the entire city, leaving only Gaddafi’s stronghold. The TV station also reported on Monday morning that the whereabouts of the Col. was unknown. The rebels have announced that three of Muammar Gaddafi’s sons – Saif Al-Islam, Saadi and Mohammed have been captured. They also said that they now controlled most of Tripoli. The rebels were earlier reported to have been advancing toward Tripoli on multiple fronts. The CNN also aired pictures of Libyans rejoicing at the Green Square about the imminent fall of the strongman of Libya. The opposition was also seen celebrating with gunfire in Martyrs’ Square. Moussa Ibrahim said that there would be massacre in Tripoli following its capture by the rebels. He noted that 1,300 people were killed on Sunday alone, adding that the death toll would rise tremendously. The Libyan Government’s spokesman is asking NATO to suspend attacks on strategic areas of the city.Reuters also reported that the President was ready to ask the rebels for negotiation. All attempts to persuade Col Muammar Gaddafi to cede power and leave Libya fell on deaf ears as he remained adamant and even boasted he would rather be a martyr than leave his country. President Jacob Zuma of South Africa even visited him earlier with the intention to persuade him to allow peace to reign in his country but he was shunned. When NATO began to launch air strikes in the country, the Colonel boasted he would fight back and launch guerrilla warfare against the West and against America, forgetting that Saddam Hussein boasted the same way but never lived to carry out his threat. Now his military strength has been crippled and lately the quality of audio messages sent to his supporters has reduced following the disruption in his communication network. It is now obvious that that the henchman is losing grips of the country and now is considering negotiation as a last resort. But the opposition had made it clear from the outset that they would never negotiate with him except he stepped down from power. Having rejected all options presented to him earlier – the possibility of ceding power and enjoying freedom in Libya, etc, there are now doubts if he would escape prosecution especially after he had sent scores of Libyans to their early graves in his quest to hold on tenaciously to power. Now that Gaddafi’s security unit has deserted him and his three sons are in the hands of the rebels, coupled with the fact that most of Tripoli is controlled by the opposition, the days of the strongman may just be numbered. How much longer he stays in power is yet to be seen. He should remember that the warrant of arrest from the International Criminal Court is still hanging over his head. He had called on his supporters from time to time to rally and save Tripoli from imminent fall. He even called on them when he seemed to be in charge, asking them to drag the “Rats and Cockroaches from their holes and kill them all”. Today, however, the story has changed as thousands of his supporters now seem to read the hand writing on the wall and understand that they cannot save him from the hands of justice. If he is found wanting, he should brace himself to face justice. Or what do you think?